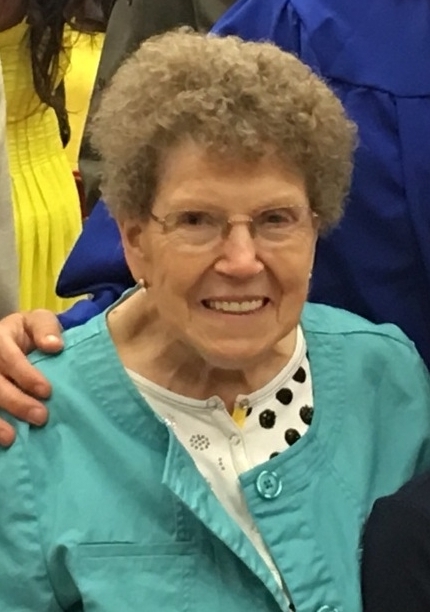 Martha Ellen “Peggy” Gregory, 78 of Webster Springs went home to be with the Lord on Monday, January 14, 2019 at WVU Hospital – Ruby Memorial. She was born May 12, 1940 in Webster County to Ova and Thela Anis McCoy Cogar and was a Chrisitian. She was a member of Upper Holly Union Mission Church and was active with the Jumbo Community Center. She was a loving wife, mother, and grandmother who loved the Lord and was dedicated to her family. She poured her heart into people and always had a smile. Peggy is survived by her husband Matt Gregory; sons Mitchell (Lynn) Gregory, James (Linda) Gregory, Stewart (Kirsten) Gregory, and Allen (Patricia) Sutphin; sister Patty (Lester) Cogar; grandchildren Jason Gregory, Kyle Gregory, Ashley (AJ) Redinger, Justin Gregory, and Joseph Gregory; great-grandchildren Mya and Liam; and many nieces, nephews, and other extended family and friends. She was preceded in death by her parents and sisters Aina Lee Hull, Kathleen Cogar, and Nyoka Davis. Friends may join the family for visitation on Friday, January 18, 2019 from 6:00 to 9:00 PM at Dodd & Reed Funeral Home. Funeral Services to celebrate Peggy’s life will be held on Saturday at 12:00 PM at the Funeral Home with Rev. Curt Davis and Rev. Kenny Pritt officiating. Interment will follow in McCoy Cemetery, Jumbo. Dodd & Reed Funeral Home is honored to be serving the Gregory family.